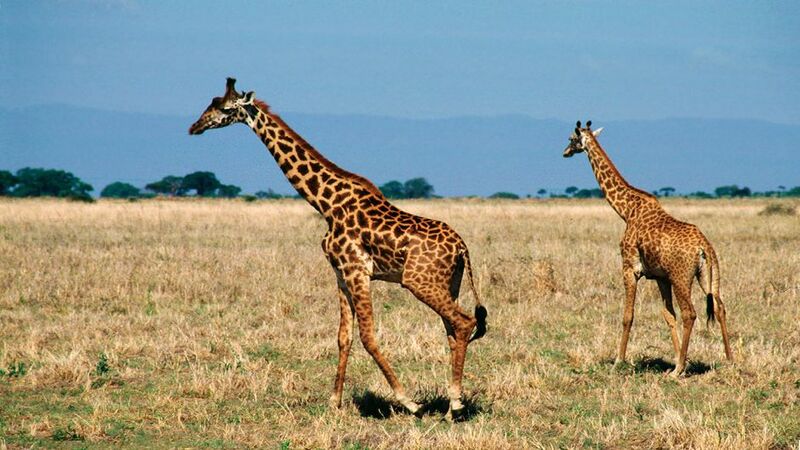 The giraffe is an artiodactyl mammal of the Giraffidae family of Africa. It is the highest of all existing terrestrial animal species. It can reach a height of 5.8 meters and a weight that varies between 750 and 1600 kg. The head has a pair of short frontal horns covered with fur and hairs, sometimes they have only one lump on the forehead, and sometimes a pair of small horns in the occipital lobe. They have a short and hard mane of brown hairs, the tail is long and has a bushy tip of hair. 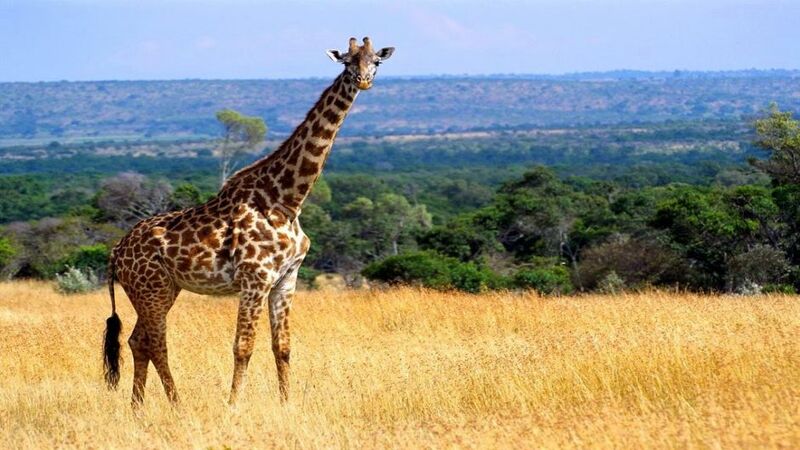 Giraffes live in open savannas and wooded pastures. 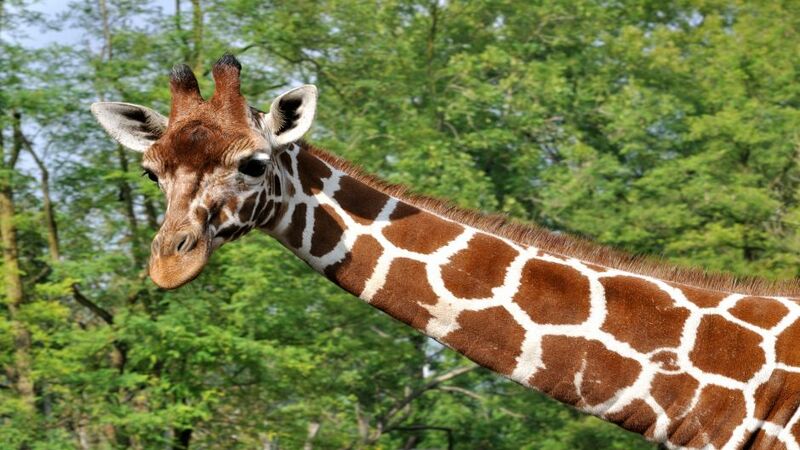 Giraffes live for 10-15 years in the wild, but an average of 25 years in zoos. 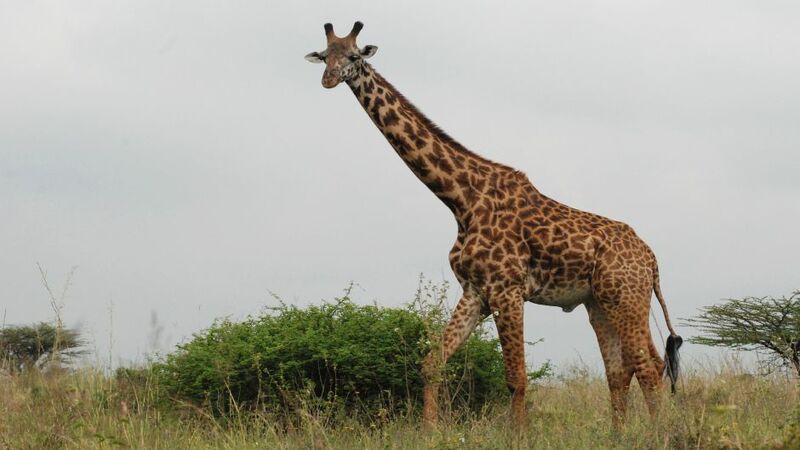 Giraffa camelopardalis is a placental mammal. The breeding begins during the rainy season. The gestation period is about 457 days. Usually, only one child is born from each pregnancy, but there may be two. The males stay with the mother until they are from one year to a year and a couple of months. The females become independent from the year to year and about four months. The males are adults from four to five years old, the females from three to four years old.